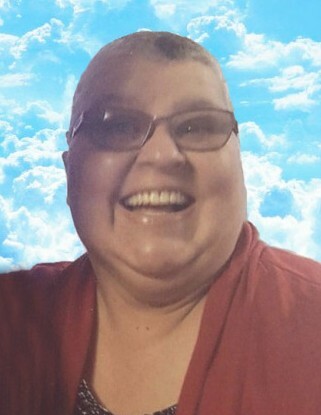 Obituary for Carmen Rodriguez | Longwood Funeral Home & Cremation of Matthew Genereux, Inc.
Carmen Rodriguez of Toughkenamon, Pennsylvania passed away peacefully on Tuesday, March 26, 2019 at her home. She was 57 years old. Born in Salem, New Jersey, Carmen was the daughter of the late Raymon Rosado and Anna Merced. She was the beloved wife of Jose G. Rodriguez for 36 years; loving mother of Jose Rodriguez, Jr. (Kelly), Antonio Rodriguez (Kim) and Violet Rodriguez (Jesus); grandmother of Antonio Rodriguez, Jr., Roland Rodriguez, Scarlett Rodriguez, Bryan Arias and coming soon...Angelo Rodriguez; sister of Raymond Rosado, Aurelio Merced, Evelyn Crespo and Milixsa Merced. A viewing will be from 5:00PM until 7:00PM with a funeral service at 7:00PM on Sunday, March 31, 2019 at the LONGWOOD FUNERAL HOME & CREMATION of MATTHEW GENEREUX, 913 East Baltimore Pike, Kennett Square. Burial will be at 11:00AM on Monday, April 1, 2019 at Union Hill Cemetery, Kennett Square. Carmen requested "NO FLOWERS" be sent. Also, "please don't wear black to my funeral".